Standing alone before St Jerome. Wandering through the National Gallery in London, I am always looking for my favorite paintings. 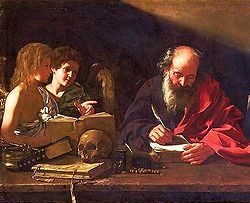 One of them is St Jerome in his Study by Catena. Some years ago, I fell in love with this painting. 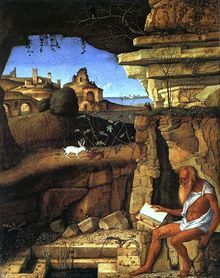 As no other people seemed interested, I could watch St Jerome for a long time without being disturbed. It gave me a wonderful feeling, to stand alone before this painting. I felt totally quiet. There is silence. The bird does not make noise. The lion is sleeping. 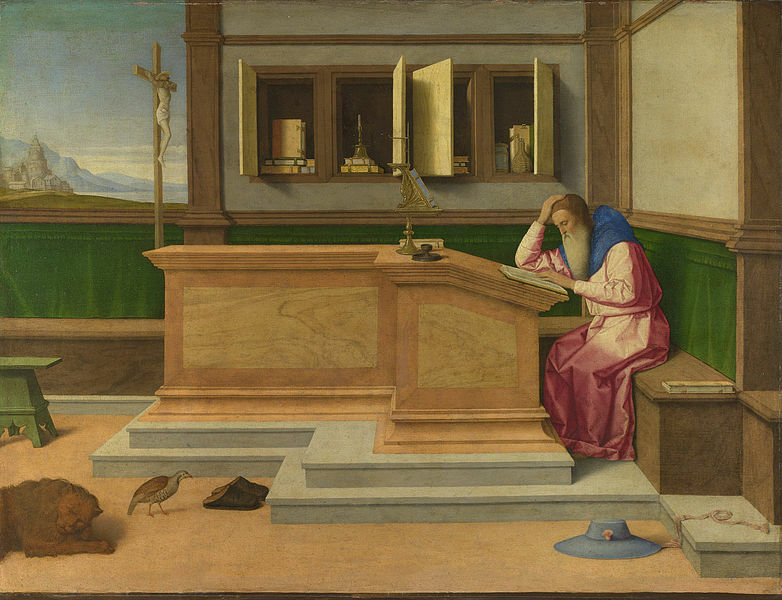 St Jerome is reading. It is this act of reading which is holding my attention. Reading is an interaction between two people, the author and the reader, actually from author to reader. It is a lonely activity. Readers are alone with their thoughts. Before this painting, I forget all the people, walking behind me through the National Gallery rooms. I am just there with another reader, although he cannot talk with me. That does not matter. Readers like other readers. Readers like silence. The quiet green and brown colors and the geometrical composition with right lines are greatly contributing to the feeling of rest. 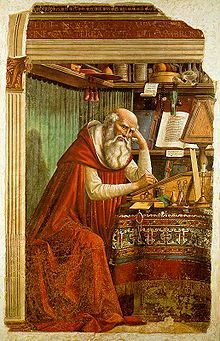 The reading St Jerome in his red and blue gown. The view through the window of the blue grey mountains and the sea. And especially the sleeping lion. I love paintings because of the pleasure of lines and colors. Moreover, they are arousing old and new thoughts and feelings. Some feelings are reminding of personal life events, sad and happy ones. New thoughts are sometimes more interesting. They can produce another way of looking, of thinking, about personal life, about humanity, about the world. Perhaps this painting is representing another meaning than a reading St Jerome. I am sure it has many different meanings. Sometimes that is important, sometimes not. The painter creates, the art lover re-creates. I am an art lover. I value art historians and art books highly. Art books show me details, I could overlook. They help me seeing more. However, when I am standing before a painting, it is between the painter and me. It is about what he wants to show and say, and about what I think and feel. This entry was posted in Art, Paintings and tagged Art, Catena, Italian Renaissance, Looking, National Gallery, Paintings, Reading, St Jerome, Venetian School. Bookmark the permalink.